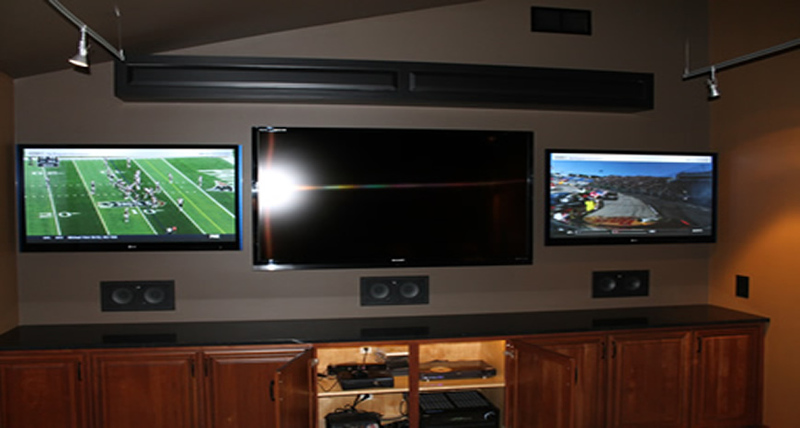 This custom home theater was part of a residential project that entailed a complete update and renovation of any resemblance of the previous system. 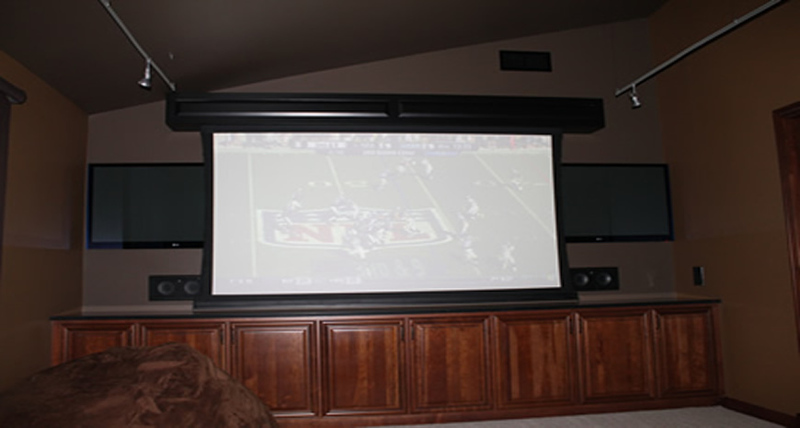 This home theater came with it’s challenges. 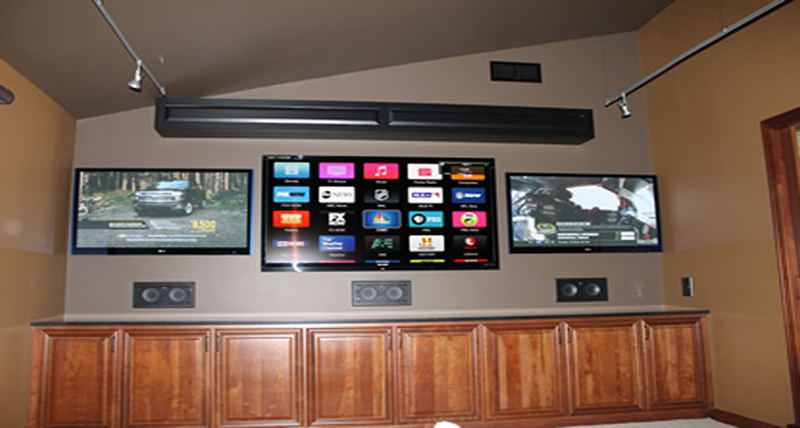 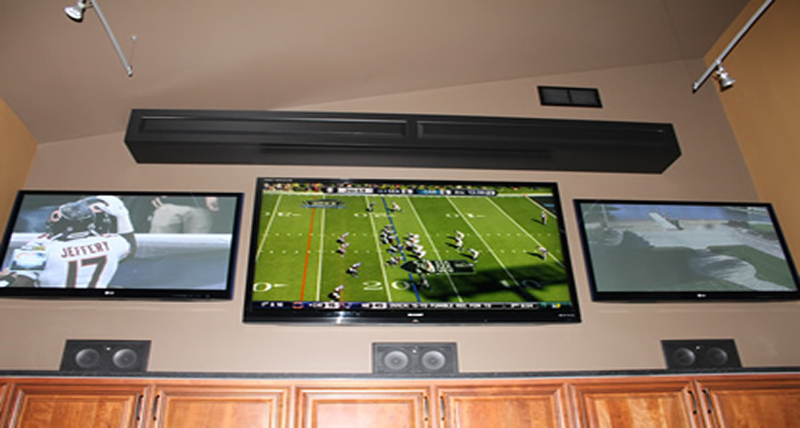 The home owner requested the installation of several hidden TVs, projectors with screens, audio system, universal remote, home automation, game systems, and needing to hide all of the cords and wiring for all of the equipment. 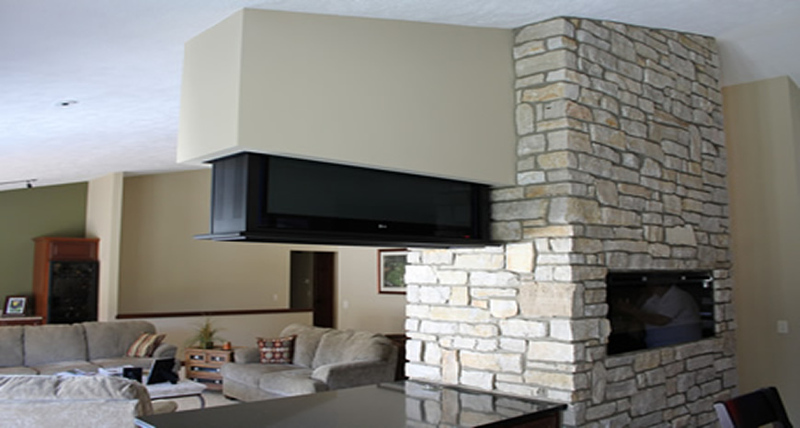 It was important to minimize the amount of product that was visible. 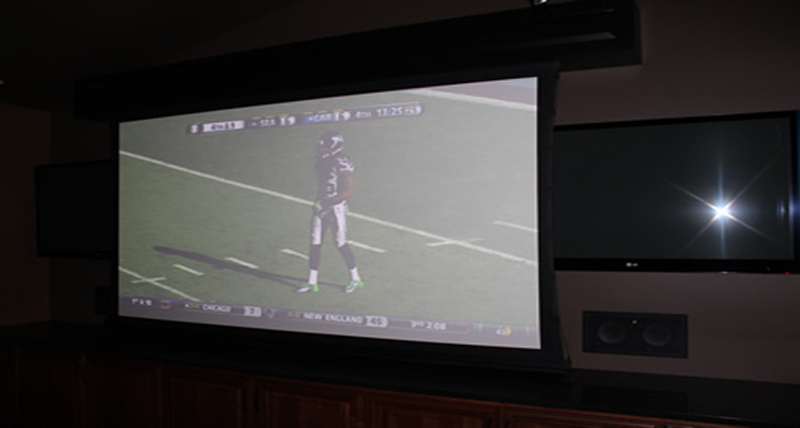 The project resulted in the installation of three projectors with motorized lift for the projector and the screens in order to keep them hid when not in use. 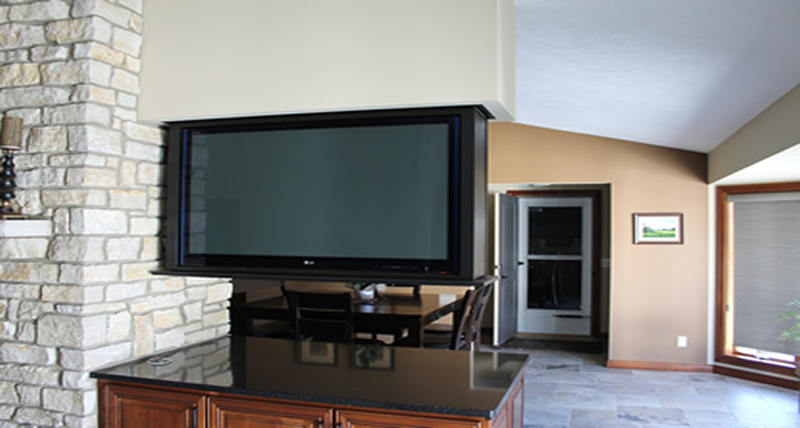 A recessed TV in the kitchen wall. 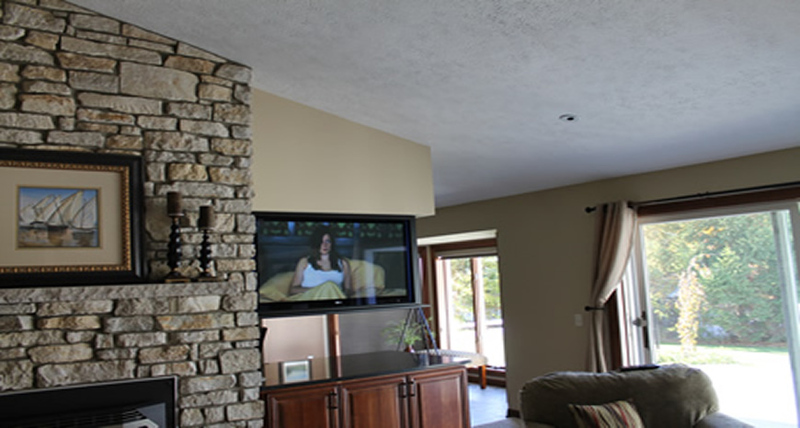 Two dropdown TVs with lifts in the dining room and living room. 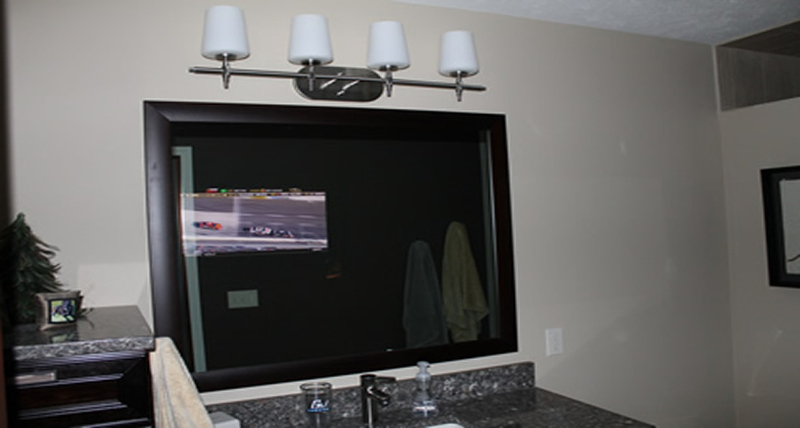 A TV in each guest bedroom, a bathroom mirror TV, and both a shower and small screen TV in the master bathroom. 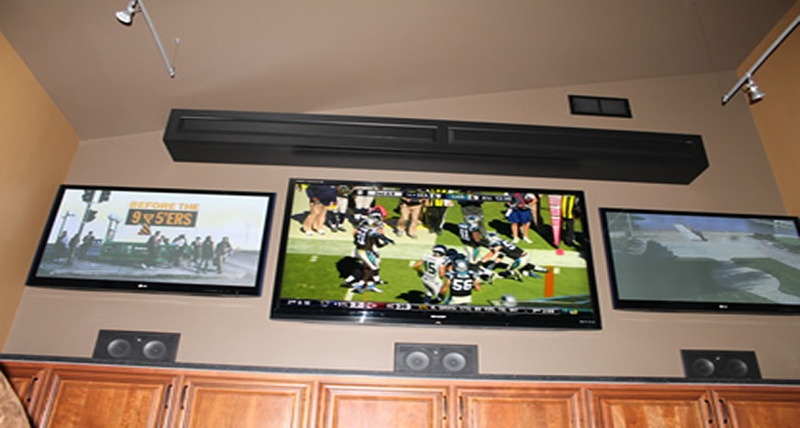 We also installed a 65 inch TV, and a DLP TV in the basement of the home.